We are proud to announce that we service garage door in repair and maintenance for residents in the Lehigh Valley. LockTech24/7 locksmiths can easily handle any task with your garage door lock, garage door opener, garage door springs, and garage door tracks. We travel 30 mile within Allentown, Bethlehem, and Easton area, covering the entire Lehigh Valley PA. In addition, we can bring security hardware right on your door. Do not hesitate to call us whenever you encourage a problem with your garage door lock and/or hardware. We will be there 20-30 minute of your call to troubleshoot the problem and to find a unique solution to keep your garage door locked. LockTech24/7 is the company to call, easy and fast service is guaranteed to your satisfaction. Locks are the most common issues concerning garage door repair. 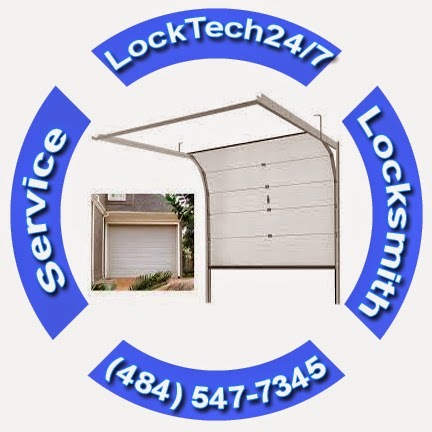 Locksmith is our expertise, and there is no garage door lock that LockTech24/7 locksmith cannot handle. Any standard residential garage has above-the-head garage door, and a side door that look like in any residential home. The side door locks usually are a standard door knob and deadbolt, while the huge above-the-head garage door has rim lock or t-handle lock. Whether it is a rim lock or a standard door knob on your garage doors, we will be happy to assist you in a very short time frame. A garage door is the heaviest door in your house. One need a powerful garage door opener in order to lift a garage door. One rule in garage door repair is to get a reliable and powerful garage door opener. This can assure you a peace of mind for long time without a major problems. Most of the garage door openers come with half (1/2) horsepower engine. Whether it is Craftsman or Chamberlain, we can help to install, program, and tune your garage door opener. When a problem with your garage door arise, call the best in garage door repair, LockTech24/7. A garage door spring is the part that make your garage door light like a feather. 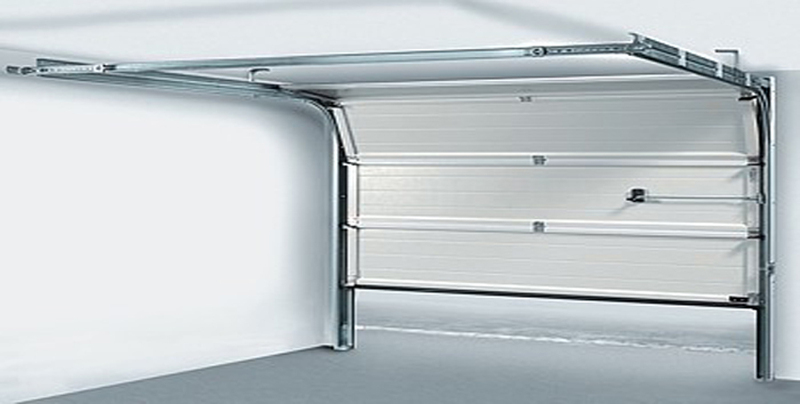 Remember, a garage door is a very heavy door, yet the spring make it rolling smooth up and down. Taking care of a garage door spring is a dangerous task. A spring that get released without control can kill someone in one hit. Yes, LockTech24/7 technician can replace the spring of your garage door within minutes. Not only we can replace your broken garage door spring, but we can also lubricate the track and the rollers, in case they are in good shape. In order to roll your heavy garage door smoothly, you garage door rollers should be well operate and smooth to, in order to move your heavy garage door. There are many types and styles of garage door rollers. Some of garage door rollers also comes in different sizes. Imagine your garage door slide like a Rollerblade. We can replace your rusty garage door roller and make your garage door roll smooth back again. Call us for estimate so we can come to get the brand and model of your garage door in order to fit the right part and hardware. Same as the roller of garage door, the tracks should be lubricated and clean without rust. Garage door tracks used out of aluminium, so they are easy to bent, crack, and break. Call LockTech24/7 whenever you encourage an issue with your garage door. You don’t need to stay unsure, dealing with your garage door problems. We’re available 24 hour a day, and we’re ready to your calls, day or night.